Welcome to Our Lady of Grace Catholic School located in the beautiful town of Westmeath. We offer a safe, inclusive environment, where students can develop spiritually, intellectually, emotionally and socially within the context of an authentic Catholic school environment. We are a Small School with a BIG Heart! 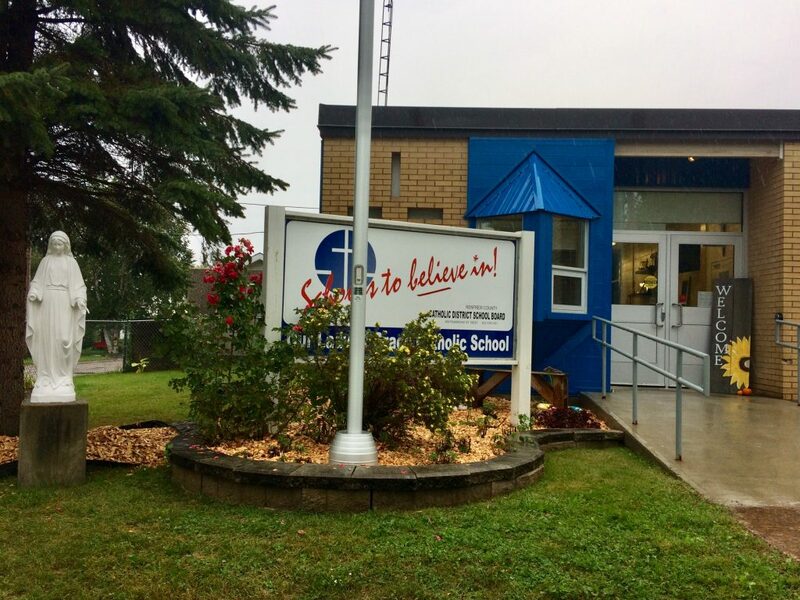 Our Lady of Grace offers Kindergarten through Grade 7 and is rooted in a culture of academic excellence, where the potential and spirit of each child is celebrated. Students are afforded the opportunity to grow in a deeper understanding our Catholic faith, and are guided by staff who actively demonstrate our spiritual values. As a school, we believe strong partnerships between home, school and parish are pillars to our success. At Our Lady of Grace, we pride ourselves not only on our Catholic identity and academic excellence, but also in our community involvement and extracurricular activities for our students. The inclusive learning environment at our school allows students to engage in rich, meaningful interactions and truly understand and apply concepts in a differentiated model. Our staff are committed to meeting and exceeding the Standard of Practice for Teaching by always developing professionally in order to ensure learning needs are met. In the spirit of warmth, hospitality, good humor and joy, I welcome you to Our Lady of Grace Catholic School and encourage you to contact our school for more information or to schedule a visit.